RB Plumbing is proud to keep the water running and the radiators humming throughout Uxbridge. 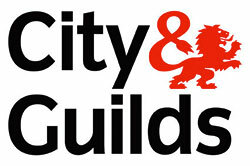 Our base of operations is located in Uxbridge, but we also perform plumbing work for the rest of the West London area. We have served a diverse range of customers in the past, and offer our services to all kinds of properties. We can perform boiler and heating system installations for commercial buildings and offices, plus perform industrial plumbing for larger companies. We also take on all domestic work too, including bathroom installations and heating system maintenance. There’s no job too small for us to consider. We’ll happily bring the same high level of expertise to all of our customers, whether they’re a homeowner or the head of a large company. Part of what makes our clients so keen to recommend our services is the security we provide. 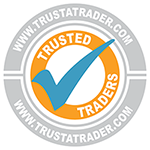 We’re a trusted plumber, listed officially on Trust-A-Trader, which guarantees all of the work discussed to keep our customers protected against malfunctions after our visit. This list is just a fraction of what we can provide for domestic, commercial and industrial properties. Our years of plumbing experience and our well-trained workforce allow us to take on all of your plumbing needs, regardless of the type of building. Looking for a Plumber in the West London and Uxbridge areas? Call us on 07713 408361 or send us an email at info@rbplumbingandheating.org.uk to learn more. Please feel free to get in touch with us regarding any of our services using the following details. Copyright © Webahead Internet Ltd. All Rights Reserved.